There lots of space heaters on the market and they all claim to be quiet or silent. But when you want to stay warm in your bedroom, office, or anywhere that the constant drone of a fan is going to be annoying, you want something that's truly silent, safe, and isn't going to send your power bill through the roof. We've found the best, truly quite space heaters, for a variety of room sizes, including portable and permanent options. The DeLonghi HMP1500 is affordable, stylish, and can handle small to large rooms (up to 300 square feet) with up to 1500 watts of power. Mica heaters are more power efficient than oil filled heaters. They heat up much faster and keep the room at a more even temperature. There's no visible glow from the heating element and because it's completely silent, it's perfect for use in your bedroom. While it doesn't have a remote or timer like more expsnive (or cheaper, poorly made heaters), it has all the essentals such as over-heat and tip-over safety shut-off, 6 levels of heating, and a surprising amount of power-efficient heat. It also has an anti-freeze setting which lets you keep a room just above freezing, great for keeping pipes from freezing. If you want a more sleek or space saving setup, the castors which make it easy to move around on carpet or hard floors (whout leaving marks) can be removed and the heater can be wall mounted. Note that if you want to wall mount it, get it professionally installed with some insulation between the heater and the wall as the back can get fairly warm.. This really is a great heater for just about any size room in your house and it . 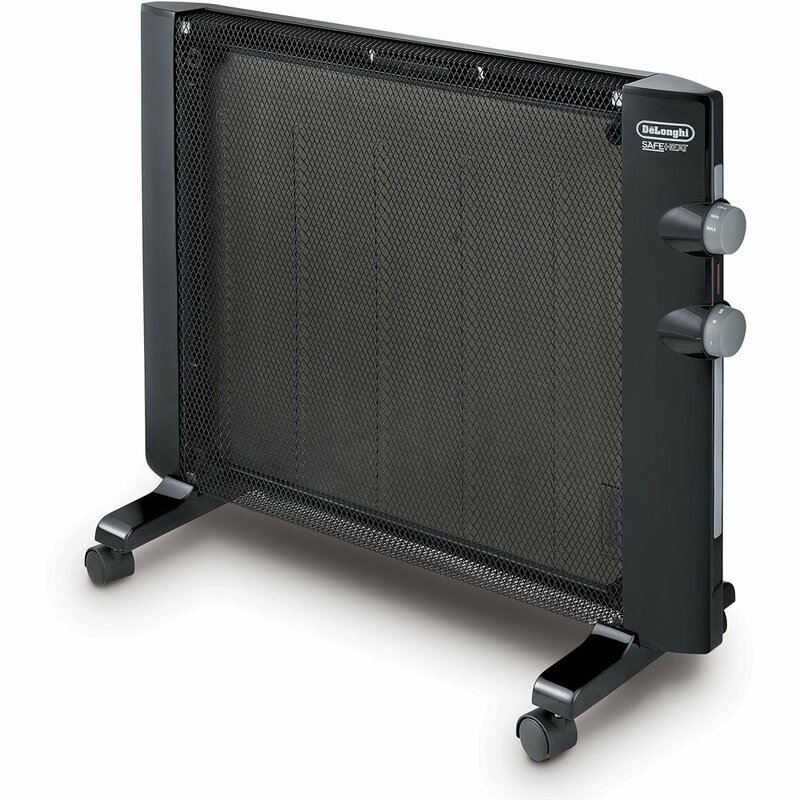 This small, 700W oil filled heater is great for small rooms of around 55-65 square feet but can heat larger rooms nearly twice that size if you don't mind waiting around 45 minutes or so for the room to warm up. The oil inside, which silently moves the heat through the radiator, is permanently sealed and never needs changing. The low power of this unit makes it perfect for smaller rooms where higher output heaters aren't necessary and would just cost you more to buy and more to operate. Because this is an inexpensive heater, you won't find any extras like a remote control, timer, or LCD display. But it does have standard safety features which shut off the heater if it overheats or tips over. With a size of only 5.5”w x 12”h x 14”d and 8.6 pounds, this compact heater is great for small rooms in your house, offices, and is easy to move around with it's built-in carrying handle.